These Goals are the core competencies to which the Chamber leadership is committed to allocating resources (finances, staffing, volunteers and technology). The leadership set five Pillars of the Chamber. Supporting Business Success – Facilitating opportunities, information and connections to support business success. Representing Business – Advocating for business issues and favorable public policy. Enhancing Community – Collaborating with organizations that improve our community and quality of life. Driving Economic Growth – Driving economic growth to benefit business and community. Leading Chamber Excellence – Leading a Chamber with impact and a reputation for excellence. Each pillar is supported by strategies and priorities. The professional staff will create a program of work and add performance metrics. I. Supporting Business Success – Facilitating opportunities, information, and connections to support business success. A. Inclusive Approaches – Develop and promote an inclusive approach to providing a voice, services, and sense of belonging to all potential business members in the region. i. Initial emphasis with outreach and service to targeted business sectors, i.e. Hispanic, African-American, Start-Ups, Small, etc. ii. Develop Chamber workforce to focus on inclusivity with a task force and the appropriate professional staff. B. Business Support – Provide support for member businesses through education, practical training opportunities, quarterly workshops, economic forecasts and referrals to expertise and resources. C. Connections – Enhances the connectivity available through unique Chamber opportunities. i. Promote the value of belonging. ii. Use technology to improve connections through an APP, easy registration processes, opt-in text notices, etc. iii. Maintain robust social media platforms to connect members and the community. II. Representing Business – Advocating for business issues and favorable public policy. B. Business Friendly Platform – Be vigilant in identifying the regulatory challenges of members and the proposals of local, state and national regulators to respond as necessary. C. Collaboration and Convener – Maintain a leading role in convening meetings that promote issues understanding and development. III. Enhancing Community – Collaborating with organizations that improve our community and quality of life. A. 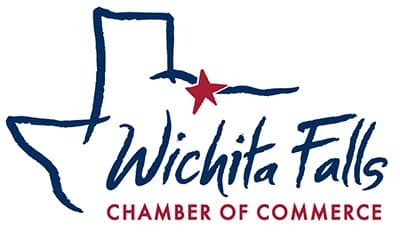 Leadership – Facilitate opportunities for mentoring and leadership development through strategic collaboration with the Young Professionals, Wichita Falls Leadership and the Talent Partnership. B. Community Initiatives – Position the Chamber to serve as a convener and umbrella offering services to advance initiatives associated with WF Talent Partnership, Modern Schools Facilities, Best-Practices Economic Development, Thriving Sheppard Air Force Base, Entrepreneurial ‘Make Hub,’ Live-Work-Play Downtown, and a Bicycle Friendly Community. B. Military Relations – Collaborate with SMAC and the Base to maintain good relations and respond to needs. C. Performance Measures – Monitor performance with an economic development scorecard and dashboard for board and community awareness of successes. V. Leading Chamber Excellence – Leading a Chamber with impact and a reputation for excellence. A. Chamber Offices – Reposition the image of the Chamber by moving to appropriate offices and a rebranding/re-imaging. B. National Recognition – Pursue the US Chamber of Commerce accreditation standard. C. Strategic Partnerships – Develop strategic partnerships with community organizations that share the mission3. D. Governance Efficiency – Review the governance structure and update governing documents. E. Workforce – Appoint the volunteer committees and maintain the professional staffing necessary to advance the mission and pillars.